The Lady Hoofers Tap Ensemble provides educational resources and professional performance opportunities to promote the art of rhythm tap. Note: The Lady Hoofers Tap Ensemble operates under Fractured Atlas's fiscal sponsorship program. You can support our mission by making a secure, tax-deductible donation online through Fractured Atlas. 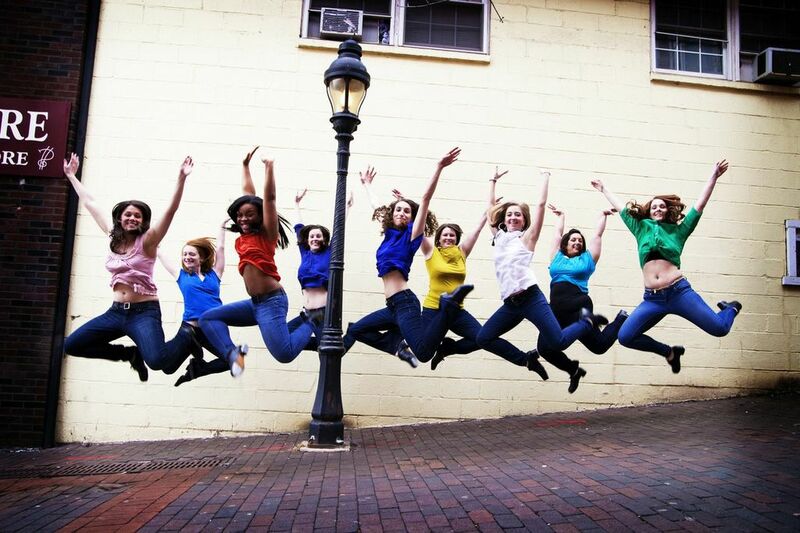 The Lady Hoofers Tap Ensemble is committed to arts education. As part of our mission to raise the profile of rhythm tap, we offer performances, classes, lecture demonstrations, workshops, and long-term residencies. In addition to hired performances, each year, the ensemble gives a number of free performances at community events and festivals such as West Park Arts Fest, Franklin Square, Headhouse Farmer's Market, and World Dance Day. We have also provided entertainment at fundraisers for numerous non-profit organizations including Pennsylvania Ballet and Pig Iron Theater Company.